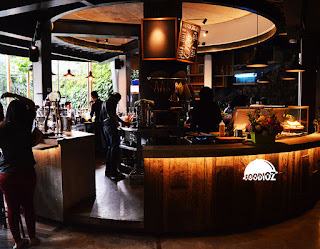 Not only about the pool, they also have stunning concept of indoor site where barista counter at the center with round pole just like the huge tree at the center. 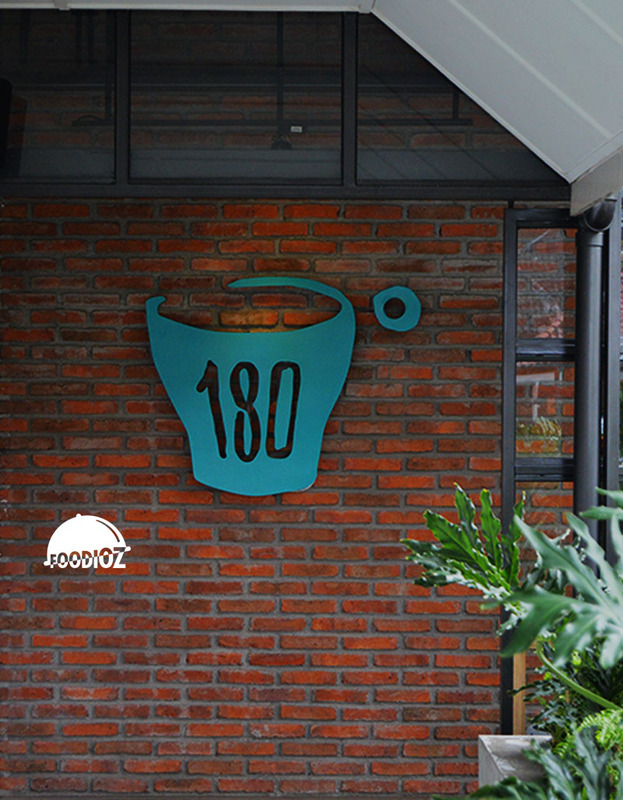 Since it is a new cafe around town, i already predicted before came here, the cafe really crowded during the day. It is like all space of seats has been occupied. They have 2nd floor which is also almost fulled by the customers. Luckily it still available seats at the corner part and good thing is i could see directly to the pool from up here right through from my seat. 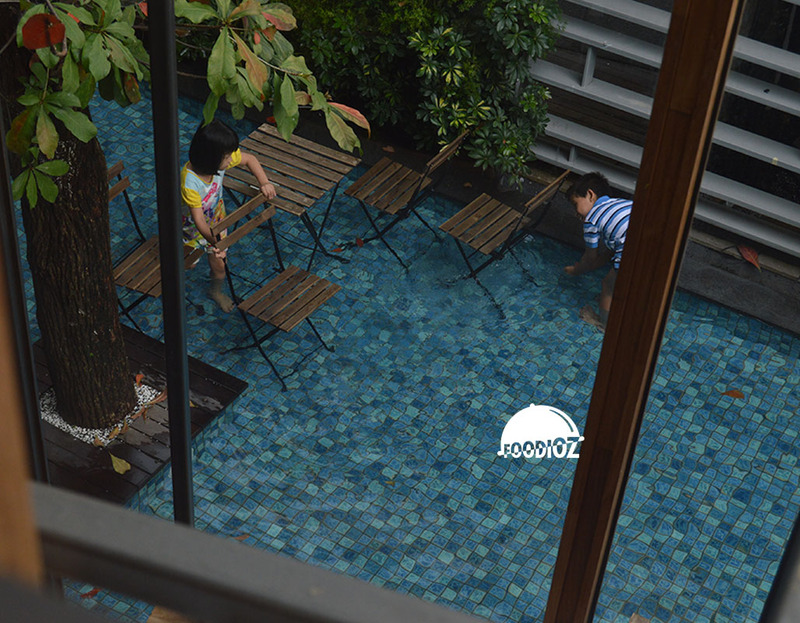 It is really nice weather, even without and air conditioner, i am sure feels cool and mild at that time. In coffee shop, one thing you must order, of course the coffee. 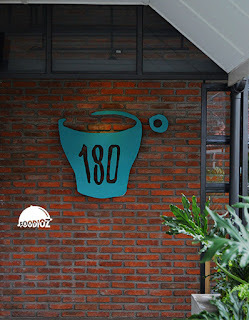 As their concept, 180 coffee sure offering various of coffee by some kind of brewing methods i guess. I am not a coffee fan, but i might try a regular coffee that commonly found around. 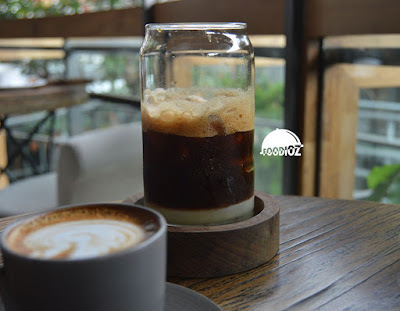 I ordered the Ice Vietnamese Coffee. I know this is kind of classic and not something new. It served in lovely glass jar and looks interesting i may say. 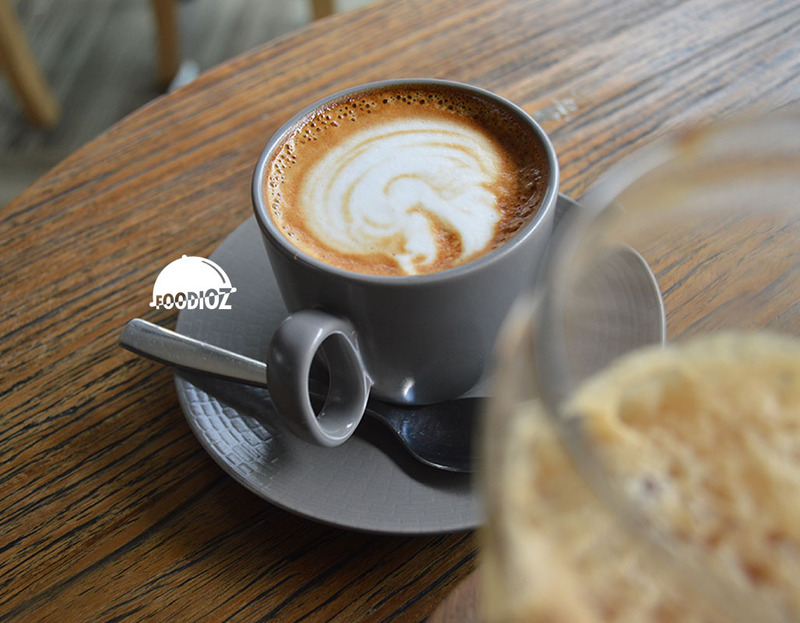 Coffee sure is really strong, but when it is blended with the milk, sure it has lovely taste and mixed it perfectly. I do like it, balanced between the coffee and sweet flavor sure gave a good mood for the day. Another coffee i have here is Picollo Latte. I must say it is bit strong for me, sure this is not my drink of the day. But for real coffee fan, i am sure this would be much satisfying. Strong taste of coffee with high bitterness is really up in this also don't forget the perfect silky latte on top is done beautifully. Other than coffee, i thought about the meal. 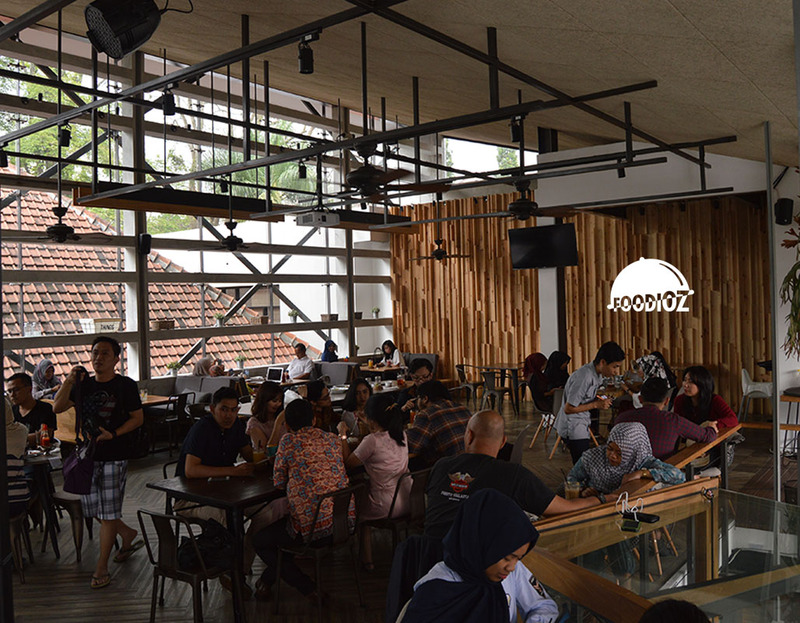 They also offering various of western fusion dish like sandwich, burger or pizza. So i ordered the Quantro Carni Pizza. A small pan of pizza, but it does looks stunning. 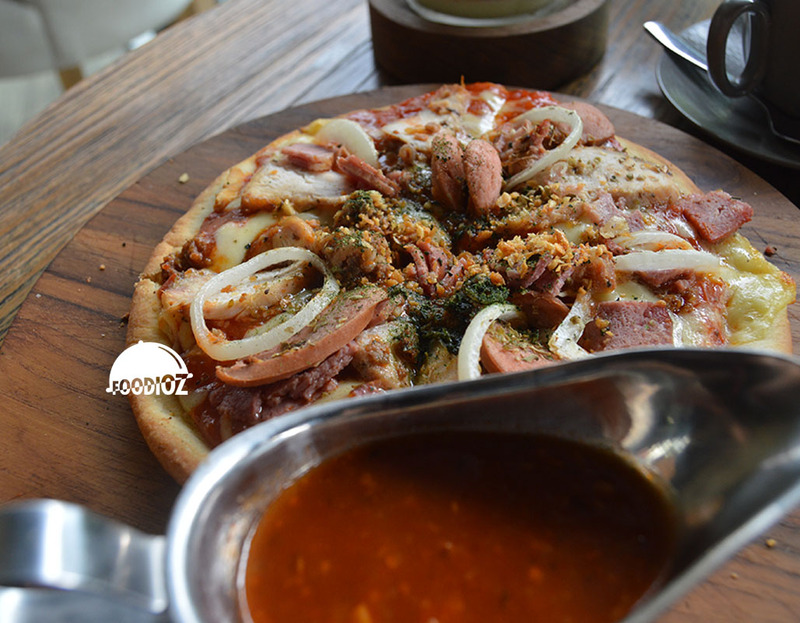 topped with bunch of sausages, bacon, onion and others seasoning. What amazing here is the dough, which is really crunchy at the bottom and such a moist creamy texture up of it. It also served along with the bolognaise sauce which is i don't think it is really match with the pizza where it could covered up all taste of the pizza, but it is an optional. 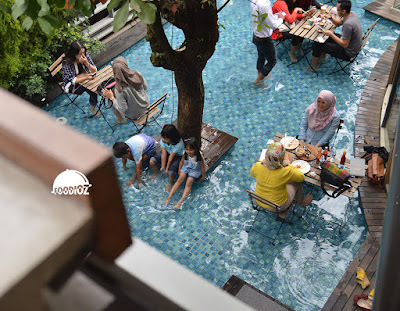 Overall, i must say this one could be one of my recommendation spot in Bandung. 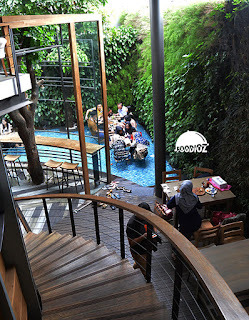 With perfect ambiance, good coffee also great foods, i am sure that is the reason why they have fulled of customers. They also provide good and quick service to serve the customers. And about the price, do not worry! 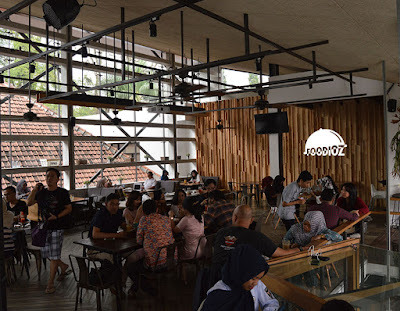 it does really fit for you looking a low budget dining or hang out spot.